A few weeks ago, I attended a very unusual feast at a warehouse in Portland, Oregon. I began with dessert. Nora Antene, a pastry chef at Le Pigeon, handed me a tiny buckwheat ice cream cone topped with a dollop of orange sherbet. It was, without exaggeration, one of the best sherbets I have ever had, a tingling medley reminiscent of guava and apricot. Antene made the treat by combining lemon, buttermilk, and simple sugar with habanadas: a new kind of pepper that has all the flavor and aroma of a habanero without the searing heat. It was, without exaggeration, one of the best sherbets I have ever had, a tingling medley reminiscent of guava and apricot. Standing to the left of Antene was a bespectacled man named Michael Mazourek, who has a job that few people know about. Mazourek is a plant breeder, a kind of farmer-inventor hybrid who spends his days cross-pollinating plants to create whole new varieties of fruits and vegetables with desirable qualities. In earlier conversations Mazourek explained how he and his colleagues had stumbled onto habaneros with a naturally occurring genetic mutation that handicapped their ability to ooze capsaicin, the oily molecule that fuels the pepper&apos;s legendary fire. Another breeder might have dismissed the mutants as worthless, but Mazourek devoted years to perfecting the heatless yet super zesty habanada. When Antene tried a raw habanada for the first time, she was enthralled by its flavor. A sherbet, she decided, would be the perfect way to enhance and highlight the pepper&apos;s unique taste. Mazourek has also worked with famed chef Dan Barber of Blue Hill restaurant in New York. Last year, Barber was complaining to Mazourek that the acorn squash&apos;s prominent ridges make it cumbersome to peel. Mazourek was flummoxed. "Do you know how many smooth acorn squashes we throw out?" he said. "The ribs are an industry standard. I had no idea anyone would prefer a squash without them." Several months later Mazourek had made good progress toward a new type of acorn squash as round as a watermelon. With input from Barber, Mazourek also recently debuted the honeynut squash, a miniature, super-sweet butternut. He brought it to Portland, where Ava Gene&apos;s chef Joshua McFadden pureed it with anchovy oil, sprinkled it with ricotta, and served it on a paper-thin, crispy flatbread known as carta di musica. One would think that the people who create new foods and the people who whip up new ways of enjoying them would have long been partners. But cooperation between plant breeders and chefs is historically rare; traditionally, breeders stick to the field and chefs to the kitchen, opposite ends of an increasingly long and complicated food chain. Lane Selman, an agricultural researcher at Oregon State University (OSU) and the emcee of the Portland feast, wants to change that. She recently founded the Culinary Breeding Network (CBN), a first-of-its-kind organization that fosters collaboration between cooks, farmers, plant breeders, and seed growers. Breeders are often "making a lot of the decisions alone, guessing what the consumer, chef, or institutional kitchen cook needs and wants from their produce," Selman explains. She has chefs tour breeding plots to "witness diversity with their own eyes, hands, and mouths" and give breeders direct feedback. 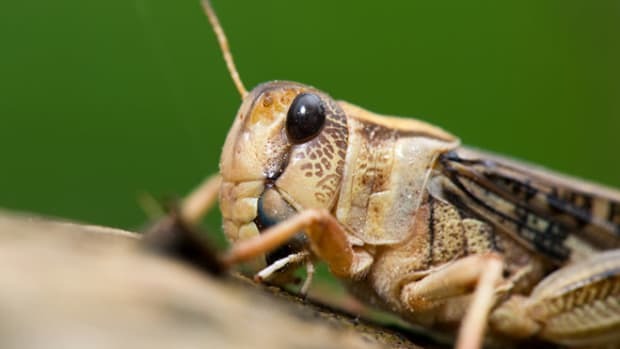 It&apos;s a kind of immediate and powerful synergy that just makes sense: "Breeders bring knowledge of stored seeds and wild relatives. Chefs know how to evaluate flavor much better than we do." Case in point: Mazourek was microwaving squash for taste tests until a chef educated him in proper roasting techniques. ALLOF THEDISHES I sampled that evening were the fruits of collaborative labor between a plant breeder and a professional cook. To the left of the peppers and squash were small narrow potatoes maroon all the way through, as though soaked in wine—a new kind of fingerling developed by breeders at OSU. Ben Schade of Portland&apos;s Old Salt Marketplace cooked the rosy spuds in saltwater and roasted them briefly in a 500-degree oven to get a wonderfully dense and moist texture. To the right of the peppers was a table heaping with gorgeous and delicious new varieties of tomatoes developed by Jim Meyers of OSU, among other breeders: tomatoes that were purple as eggplants, tangy like pineapple, or hiding a creamy, almost yogurty texture. Firehouse Restaurant&apos;s Timothy Wastell used their robust flavors in the evening&apos;s most popular beverage: a raw Bloody Mary with a celery straw. Across the room were sweet and crispy beets with concentric gold circles and thai basil that tasted distinctly of cloves and licorice. "The ribs are an industry standard. I had no idea anyone would prefer a squash without them." 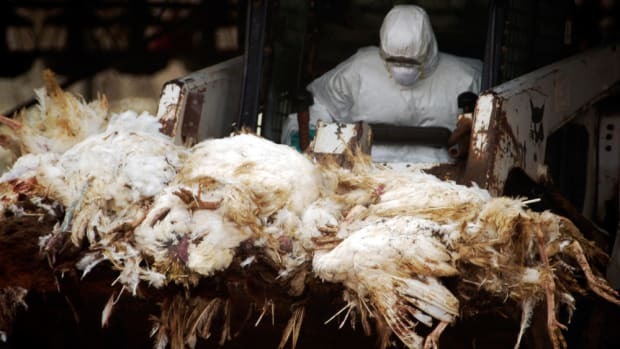 Such innovations are not a mere pastime for highfalutin chefs and academics; they spring from widespread discontentment with the current industrial food system. 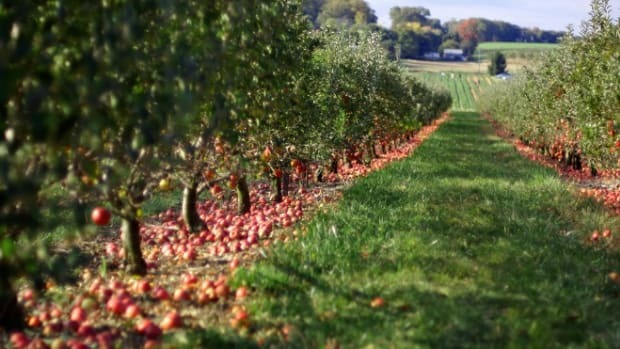 Large-scale growers and distributors have forced breeders to focus on high yields, disease resistance, and, especially, on durability, because most fruits and veggies must endure long journeys from field to grocery aisle. In many cases, prioritizing these characteristics has ruined flavor and nutrition. 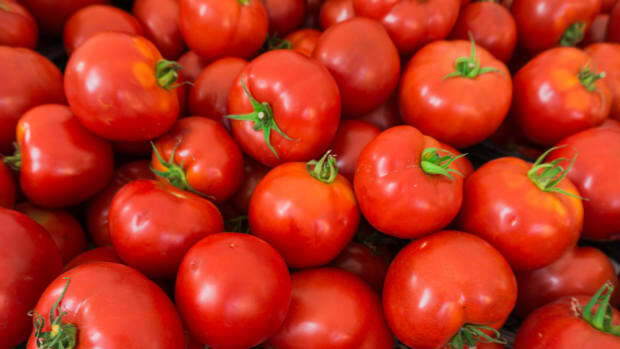 The more fruit one forces a tomato plant to make, for example, the fewer sugars, flavorful compounds, and nutrients it can devote to each fruit. The same thing has happened to strawberries. 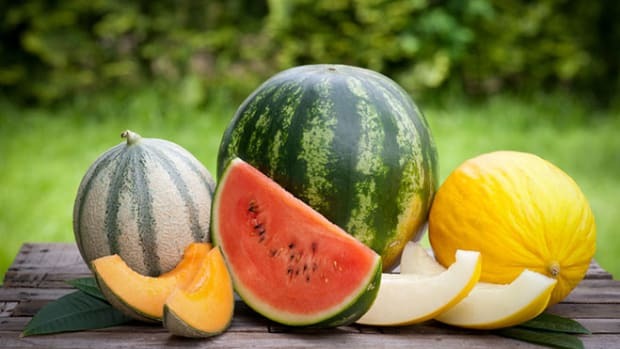 Breeding cantaloupe that remains firm enough to survive long-distance shipping crippled the chemical pathway that both softens the fruit and produces its flavor. In response, small groups of farmers and seedsmen have resurrected heirloom fruits and vegetables: old varieties that are not grown in large quantities today but often have superior taste. The trouble, though, is that heirlooms rarely yield as well as modern cultivars and are not particularly resilient—heirloom tomatoes, for instance, easily scar and soften too quickly. 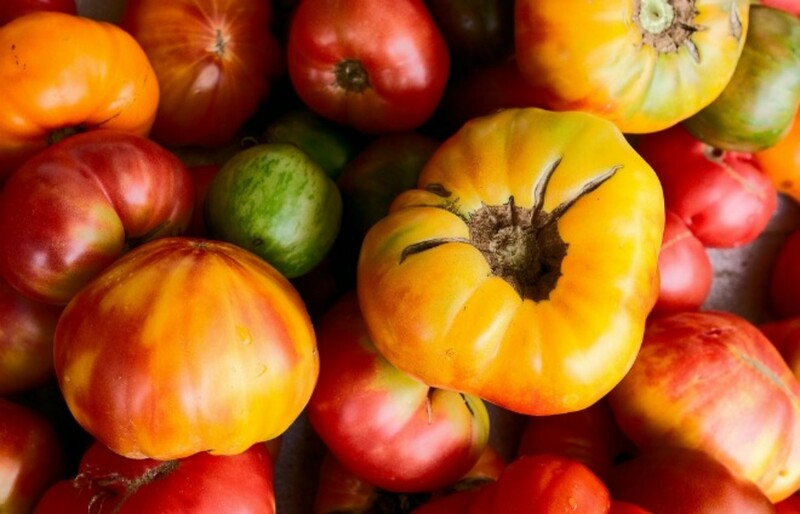 By combining their talents, chefs and plant breeders like those in CBN are starting to create a new class of produce that melds the durability of modern varieties with the fantastic flavor of heirlooms. These new foods are also typically healthier: Many of the bright colors and patterns on display at the Portland feast indicate higher levels of nutritious compounds. Several plant breeders I spoke with say that involving chefs in their work fosters innovation. Like Mazourek, many breeders like to tinker with unusual plants that do not have an obvious market, or prioritize food qualities that the industrial system dismisses, such as flavor and aesthetic flair. The universities that breeders work for generally remain indifferent to these pet projects or even discourage them. When a chef shows interest in these novelties, however—and chefs are always looking for something new—the breeders&apos; employers perk up. Suddenly creativity and experimentation don&apos;t seem like such a waste of time. A prominent chef backing a plant breeding project is like Oprah recommending a book. "Chefs that seek out the best, most delicious ingredients are some of our best advocates," Mazourek says. "They can choose to help us appreciate quality produce that nourishes us and supports diversified farming." MANY OF THE NEW foods at the Portland showcase have already found their way into farmers’ markets and seed catalogues and could show up in supermarkets soon, especially as chefs popularize them and farmers recognize their potential. Toward the end of the evening, I got to chatting with Jim and Debbie Fields, who own an organic farm in Bend, Oregon, run a CSA, and once provided food for the Dave Matthews Band, when the group was on tour. "I loved the beets and squash," Debbie said. "We&apos;ll probably grow those next year." The AmaRosa is Jim&apos;s new favorite potato. Cornell University, Mazourek&apos;s employer, has just licensed the rights to the habanada to organic seed company Fruition Seeds, which will in turn produce large quantities of the seed for the northeast. Universities routinely license seed rights in this way because they generally do not have the resources to produce enough seed themselves. The day after the Portland showcase, Selman, Wastell, and I, along with a photographer and plant breeder from Hawaii, visited Jim Myers in his fields at Oregon State University. Myers has been developing mild habaneros that, unlike Mazourek&apos;s habanda, retain some spiciness, albeit much less than usual. I plucked a small one, shaped like a talon, and took a bite, anticipating pain. At first, nothing. Then a quick, strong slap of fire. Then nothing again. That delightful flirtation with the habanero&apos;s full power is what has chefs excited. "I think that these peppers are naturally beautiful, but it has taken working with chefs to reveal the potential they have in novel cuisine," Myers says. One of these experimental peppers is just about to be released. Myers has also helped add a new color to the tomato palette: purple. His indigo line—some of which has already been licensed to seed companies—includes scores of quirky tomatoes that are striped, stippled, or drenched in violet thanks to high levels of anthocyanin, the same antioxidant pigment that gives eggplants their purple luster. A small yellow tomato with maroon leopard spots made me stop in place. It was so beautiful, so unlike any fruit I had ever seen. It was easy to see why chefs would love to feature such an exotic plant on their menus. But how would it taste? Is it really possible to undo the conundrum of so much modern supermarket produce, to satisfy both the eyes and the tongue? I picked the tomato and popped it into my mouth. Absolutely.